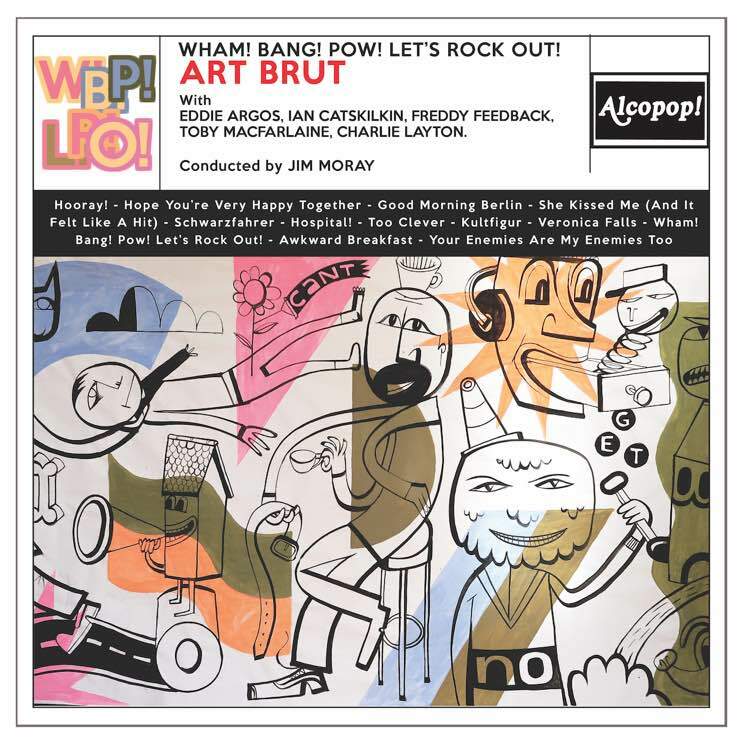 Art Brut may not be musical savants, but they are undeniably a clever bunch. On the band's fifth LP, Wham! Bang! Pow! Let's Rock Out!, the London, UK quintet have finally added a sonic element to complement vocalist Eddie Argos's brilliant knack for telling a hell of a story. After the departure of two-fifths of the band, the band added current Wedding Present drummer Charlie Layton and Graham Coxon guitarist Toby MacFarlaine, helping to give songs like the celebratory Partridge Family-esque, "Hooray" and the sweeping "Schwarzfahrer" an extra component to Argos's cockney speak-sing.